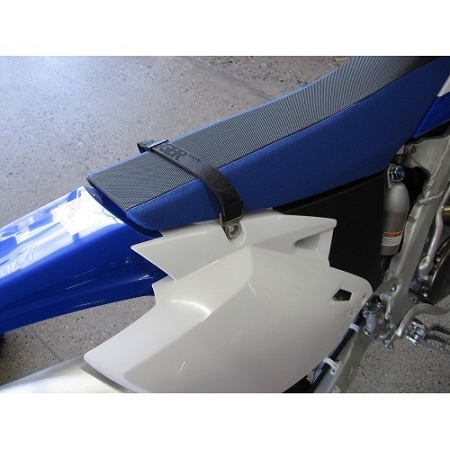 The Tugger lift strap provides a convenient gripping point near the rear of your dirt bike. Most dirt bikes don't have a place to grab that won't toast your fingers or get your gloves all muddy. And sometimes you need to grab your bike in a hurry! No more groping for a place to grab-the Tugger is ready when you need it and stays out of the way when you don't. 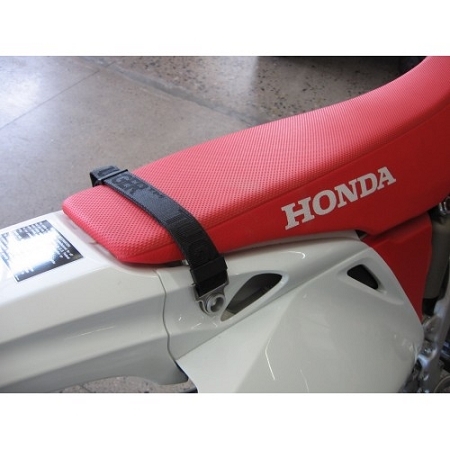 This will fit nearly any motorcycle that uses two bolts to attach the seat to the subframe (17" max length between the bolts). 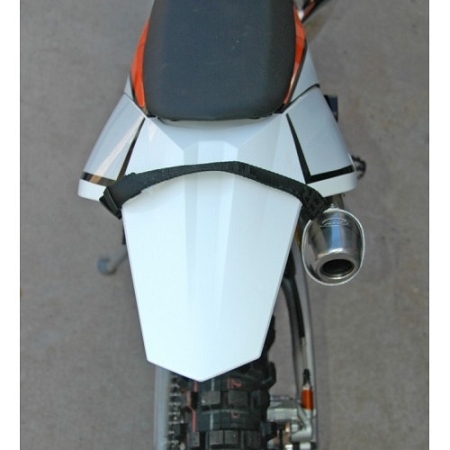 In addition, the Tugger fits nearly all full-size KTM models with the single under-fender seat bolt. The Tugger is made with the finest materials available to look good and last.